HEY WARWICK is a useful and dynamic mobile app for visitors, residents and business people of Warwick, NY. The app allows for direct dialing of important phone numbers and contains a directory of events, restaurants, stores, recreation, news and classifieds. Users save money using the Coupon tab and earn shopping rewards using the Loyalty tab. 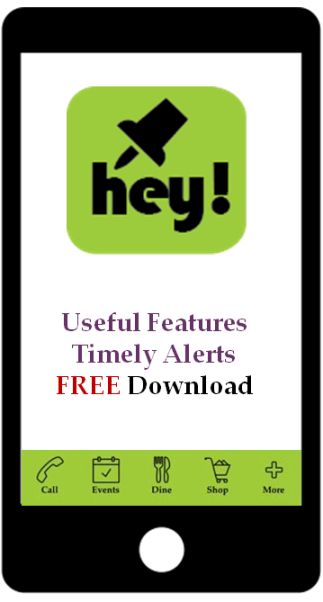 Daily text notifications alert app users to important community activities and announcements. If you want to know what’s happening in town, then HEY WARWICK is the app for you!